A good notebook app on your iOS device makes it so much easier for the users to jot down their ideas, new projects, journals and many other things. If used creatively, a good notebook app can prove to be a huge benefit for the users. In this post, we have listed down the top 3 notebook apps which can be downloaded by the users using the TutuApp. You can capture brilliant ideas visually on the Inflow Visual Notebook app. The app allows the users to create rich notebooks with photos and text. You can express yourself with smooth vector ink. With Inflow Visual Notebook, you can take great notes, anywhere. This app can be used for work, home or school. 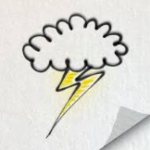 On the Notes Writer app, the users can type, handwrite, annotate, draw, highlight, record, scan annotate PDFs, fill and sign. 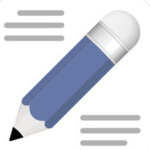 You can also use this app for writing, editing, formatting, creating rich text format and for markdowning documents. The app allows you to organize, structure, find notebooks, folders and subfolders. On the Notes Writer, you can even structure your notebooks, classes, lectures, grades, drafts chapters and research. You can export the content, share it and also, print it directly from the app. Flow by Moleskine is an app that allows the users to sketch, think and create. It provides you a space to capture, create and share ideas. The Flow by Moleskine app supports infinite width pages for immersive creativity. You can create your own set of tools here, organize your creations and carry on automatic sync and backup. All the above listed notebooks can be downloaded by the TutuApp. The TutuApp is a highly popular third-party app store which houses thousands of apps and games. One can use the TutuApp for downloading these apps and games at a lighting fast speed.